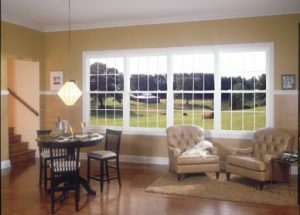 Finding a reputable company to perform a replacement window installation at your home in Pensacola, Florida, or a nearby city may seem like an overwhelming task. Fortunately, there’s Majors Home Improvement. We are a local, family-owned business that has served homeowners in the area since 1997. We hold an A+ rating with the Better Business Bureau, which we earned due to our commitment to going above and beyond for our customers. When you Let Majors Do It, the project will be completed efficiently, professionally, and courteously. At Majors, we install our Majors Select™ Vinyl Windows that are available in popular styles like double hung, slider, casement, picture, bay, and storm, among others. These windows are energy efficient and have a solid vinyl construction that won’t rot, rust, crack, warp, corrode, or even fade in color. Contact Majors Home Improvement today to learn more about our replacement window installation services. When you do, one of our representatives can schedule a complimentary consultation at your home in the Pensacola, FL, area.